"Live, Laugh, Love Address Labels" product is already in your cart. 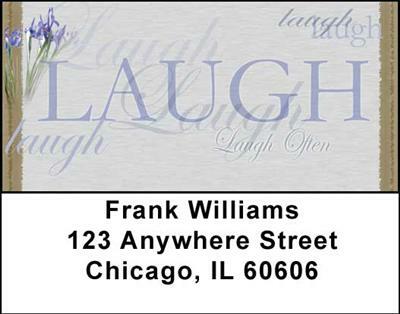 Create a positive influence with the inspirational Live, Laugh, Love Address Labels that showcase the spirit of living life to the fullest. With three beautiful scenes displaying each of these mantras, you will make others happy as well. Each of these words is highlighted in the background of the label with a corresponding flower decoration ï¿½ Live is pale yellow, Laugh is pale blue and Love is pale pink ï¿½ making a trio of positive words that will inspire the person who receives the label. Live, Laugh, Love Address Labels make a terrific way to provide positive energy and address envelopes too!